Abstract: Affective computing is that branch of computing which deals with the study of emotions. The study of human emotions which includes identifying, construing and simulating them makes the core concept behind affective computing. Affective computing deals with developing such machine or computer which is not only able to recognize, interpret and process emotions but also able to make decisions according to the situation. mHealth (mobile phone-based healthcare) is a reality as portable devices (cell phones, smart phones, or PDAs), sensors, and RFIDs have become a part of our everyday lives. In Ubicomp lab, we have been using affective computing in mHealth projects. In the first project, we use facial expression and energy expenditure of a person to classify a person’s affective state by continuously recording accelerometer data for energy and camera image for facial expression. In the second project, we design, develop and evaluate a mobile-based intervention designed with the aim of teaching social skills to children with Autism Spectrum Disorders (ASDs). We also aim to study the anxiety pattern of children with ASDs during a social interaction intervention. In the third project, we validate the idea of using smart phone cameras for pain assessment of breast cancer patients in a developing country. In this talk, we discuss affective computing in the above mHealth projects. Bio: Sheikh Iqbal Ahamed is a professor of Computer Science and director of Ubicomp lab (www.mscs.mu.edu/~ubicomp) at Marquette University, USA. He is a senior member of the IEEE, ACM, and the IEEE Computer Society. He completed his Ph.D. in Computer Science from Arizona State University, USA in 2003. His research interests include mHealth, security, and privacy in pervasive computing, affective computing, middleware for ubiquitous/pervasive computing. Currently, he has over 1 million dollar research grants in mHealth area and mobile/pervasive computing area. He has a number of collaborative mHealth projects with the researchers of different universities and non-profit organizations in USA. He has international mHealth projects in Bangladesh, Nepal, Taiwan and China. He has published 100+ peer-reviewed journal, conference and workshop papers. He has received twelve best paper/posters awards in last five years. One of them was selected the best from 325 submitted papers. 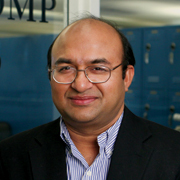 Dr. Ahamed serves regularly on international conference program committees in software engineering and pervasive computing such as COMPSAC 13, COMPSAC 12, PERCOM 08, and SAC 08. He is the Workshops Chair of COMPSAC 2009 and COMPSAC 2010. He was the General Chair of COMPSAC 2015. He was the Program Chair of COMPSAC 2011. He was the Program Co-Chair of WPS 2009 and SPTSA 10. He has been serving as the Steering Chair of COMPSAC since 2015. He is the Guest Editor of Computer Communications Journal, Elsevier. Abstract: This talk will broadly explore how a combination of data from personal mobile devices, urban informatics portals, public social media and infrastructural sensors is ushering in a new wave of “smart city” applications and services. I will describe how technology advances in mobile analytics applied to the data generated from personal mobile & wearable devices help provide fine-grained insights into human behavior in the physical world. I will focus on three examples: (a) wearable analytics that uses sensor data from smartwatches & other wearable platforms to capture consumer daily lifestyle activities such as in-store shopping & eating, (b) socio-physical analytics that additionally utilizes city-scale data from urban informatics portals to identify and localize urban micro-events and (c) mobile crowdsourcing that harnesses the participatory power of city residents to optimize the delivery of municipal-scale services. The talk will also provide a perspective on how the fusion of wearable & IoT-generated data will lead to a new class of analytics-driven applications in two domains: (a) Industry 4.0 and (b) Smart Cities. 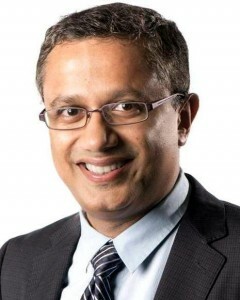 Bio: Archan Misra is an Associate Professor, and the Associate Dean of Research, in the School of Information Systems at Singapore Management University (SMU). He is also a Director of the LiveLabs research center, as well as the Director of the newly-established Center for Applied Smart-Nation Analytics (CASA) at SMU. Over a 20-year research career spanning both academics and industry (including IBM Research and Bellcore), Archan has worked and published extensively on a broad set of technologies spanning wireless networking, mobile & wearable computing, large-scale stream processing systems and data analytics. His current research interests lie in applying mobile & wearable sensing, real-time analytics and crowdsourcing technologies to understand human activities and behavior for a variety of urban-computing applications. Archan holds a Ph.D. in Electrical and Computer Engineering from the University of Maryland at College Park, and chaired the IEEE Computer Society’s Technical Committee on Computer Communications (TCCC) from 2005-2007. K.M. Tariquzzaman is the Head of IT & Service Development at Grameenphone Ltd. Grameenphone is the leading telecom operator with highest number of subscribers & widest network in Bangladesh. 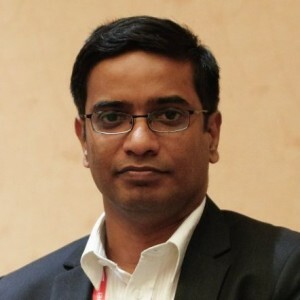 He was also the Head of Technology Transformation and Demand Management, Head of Central Operations, Head of Planning, Design & Dimensioning, Head of Architecture & Service Planning, Head of Service Network Planning at Grameenphone Ltd. His experiences are in network operations for core and intelligent network in mobile network operations, and core network planning including signaling, VAS product development and service platform planning. Abstract: The issue of keeping humans in the loop during design and deployment of cyber authentication solutions is becoming important. In this talk, we present recent advances in this realm. In Part 1 of the talk, we will focus on authentication designs that address multiple trade-offs like strong security, user-friendliness, and ease of practical usage. Our technique relies on a novel concept called Predicates, which are used to share secrets between users and the server, while these Predicates are subsequently used for password generation during authentication in a challenge-response mechanism. In the second part of the talk, we will present recent results in behavior based human authentication, which is a novel idea for authentication via anomalies detection. Bio: Sriram Chellappan is an Associate Professor in The Department of Computer Science and Engineering at University of South Florida, where he directs the SCoRe (Social Computing Research) Lab. His primary interests lie in many aspects of how Society and Technology interact with each other, particularly within the realms of Smart Health and Cyber Security. He is also interested in Mobile and Wireless Networking, Cyber-Physical Systems, Distributed and Cloud Computing. Sriram’s research is supported by grants from National Science Foundation, Department of Education, Army Research Office, National Security Agency, DARPA and Missouri Research Board. Prior to this appointment, he was an Associate Professor in the Computer Science Dept. at Missouri University of Science and Technology. 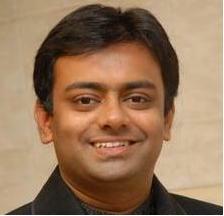 Sriram received the PhD degree in Computer Science and Engineering from The Ohio-State University in 2007. 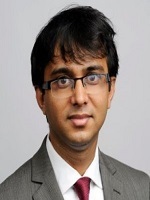 Sriram received the NSF CAREER Award in 2013. He also received the Missouri S&T Faculty Excellence Award in 2014, the Missouri S&T Outstanding Teaching Commendation Award in 2014, and the Missouri S&T Faculty Research Award in 2015. Khan Ferdous Wahid is a Cyber Security Research Engineer in Airbus Group Innovations, Germany. He received PhD degree in Information, Communication and Media Technologies from Universitat Pompeu Fabra, Spain on 2011. Currently he works on cyber security solutions for different business units within Airbus group. Before joining Airbus Group, he was a Security Researcher at Fraunhofer SIT in Darmstadt, Germany, where he performed security research and development activities for industrial customers, mainly using trusted computing technologies. Prior to joining Fraunhofer, he worked as Professor Associat (Catalan designation) in Universitat Pompeu Fabra, Spain. His research interests are Cyber Security, Trusted Computing, Network Security and Quality of Service, Security Protocol Design, Secure Software Design, and Security Management. Muhammad Noor E Alam is an Assistant Professor in the Department of Mechanical & Industrial Engineering at the Northeastern University. Prior to his current role, he was working as a Postdoctoral Research Fellow at Massachusetts Institute of Technology, affiliated with Computer Science & Artificial Intelligence Laboratory (CSAIL), Operations Research Center (ORC), and Sloan School of Management. He has completed his PhD in Engineering Management in the Department of Mechanical Engineering at the University of Alberta (UofA) in 2013. His current research interests lie in the intersection of operations research and data analytics, particularly as applied to healthcare, manufacturing systems and supply chain. Before coming to the UofA, he served as a faculty member (first as a Lecturer and then as an Assistant Professor) in the Department of Industrial and Production Engineering at Bangladesh University of Engineering & Technology (BUET). He also previously received a B.Sc. and M.Sc. in Industrial and Production Engineering from BUET.